Maria Del Carmen Molina, 68, entered eternal rest on Monday, June 11, 2018 at her residence in Edinburg. She was born on Tuesday, July 26, 1949 in Mexico to Jose Reyes Cardenas and Monica Jasso Hernandez. She is preceded in death by her parents and brother; Uriel Reyes. 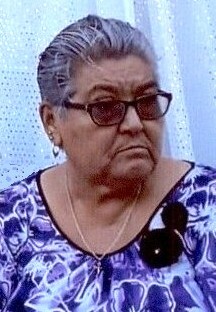 Left to cherish her memories are her husband of 48 years; Reymundo Molina, sons; Raymundo (Aracely) Molina and Roberto Carlos Molina, daughters; Maria E. (Ramiro) Cruz and Jeimi Zujey (Fernando Jasso) Molina, sister; Lilia (Frank Cardenas) Reyes, brothers; Juan Reyes, Soltero (Maria Del Carmen Saucedo) Reyes, Daniel (Alberta) Reyes, and Jose Luis (Catalina Herandez) Reyes, 15 grandchildren, and numerous nieces and nephews. Maria enjoyed sewing, quilting, but most importantly spending time with her family. She was a member of Sacred Heart Catholic Church in Edinburg. She will be deeply missed by her family, friends and all those whose lives she touched. Her family received family and friends on Wednesday, June 13, from 1:00 PM - 9:00 PM with a Rosary prayed at 7:00 PM in the Chapel of Peace at Ceballos-Diaz Funeral Home, 322 East Kuhn Street in Edinburg. A Catholic Mass will be celebrated on Thursday, June 14, 2018 at 11:00 AM at Sacred Heart Catholic Church, 501 East Kuhn Street in Edinburg. Catholic burial will follow to Anahuac Cemetery, Mile 3 Road West in Edcouch-Elsa, Texas. Having the distinguished honor to serve as pallbearers will be: Reymundo Molina, Raymundo Molina, Soltero Reyes, Ramiro Cruz, Daniel Reyes, and Fernando Jasso. Funeral services have been entrusted to Ceballos-Diaz Funeral Home in Edinburg.